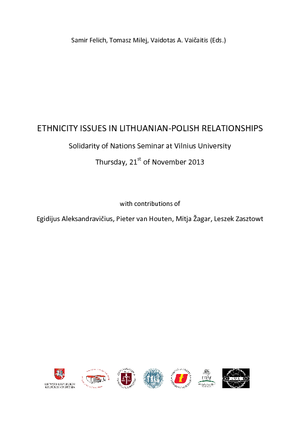 The seminar and this publication tries to broaden the approach on the topic of ethnicity not only from a legal or lawyer point of view, but also with an historian perspective for a broader and better understanding. Ethnicity is not something that derives out of law, but is an issue which is pre existence also in our mentality and way of thinking and derived of this we have legal outcomes and solutions; i.e. like nationality, the spelling in our passports or legal documents and others. However out of their history some ethnicity groups have certain tensions which need to be healed. But in order to be healed these issues need to be revealed. The first part of the seminar and this publication will take an historical approach, whereas the second part will try to an analysis form an ethnic studies and national minority studies point of view. 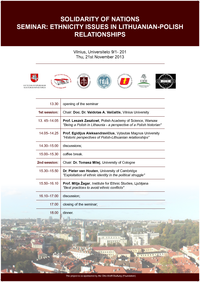 Find the transcription of the Seminar here.